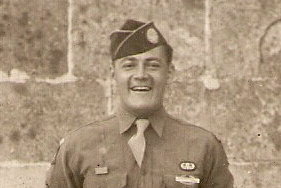 This June marks the 70th anniversary of D-Day – a good occasion to put up a few of my father’s stories again. He made four combat jumps but wrote little about the battles. Most of his writing reflected the ordinary experiences a soldier might have had. Among the many great World War II sites created by veterans’ families. 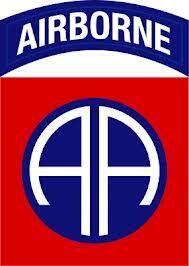 My favorite is 82nd Airborne World War II published by D. Thomas Biello. Besides extensive information, the webpage includes many pictures of individual soldiers. 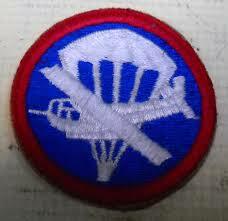 The 505th Regimental Combat Team’s site is also a great place for pictures and information. When my father, William J. Gray of Philadelphia, returned from World War II, he jumped right into life like most his contemporaries. He got a job as a bus driver, married the girl from the letters, and settled down. At some point, he bought a typewriter, and when he’d get home from work about 3:00 am, would sit down and write the stories I’m sharing here. Though he left school after the 9th grade, he was an avid reader. His knowledge of what makes a story and characters interesting was completely self-taught and completely dead-on. He began to experiment and rewrite different beginnings for stories – something every worthwhile writer learns. As an English teacher and amateur writer, I find my Dad’s writing startling and vivid. He tried to publish a few stories, but was not successful. He only needed an editor or collaborator and I’ve tried to fill that role. I’ve cleaned up the grammar and done a little shaping – the rest is his. His talent and perspective knock me out. My dad died in 1996 and it took me a while to face the papers packed into his old briefcase. I’ve learned things about him and his character as a young man that would not be available to me other than through his writing. I finally appreciate those old stories I used to be annoyed with. I hope you find something to enjoy while I spruce up the next batch.